You might hate these little guys but the kids love them. Here is a free printable for over 43 assorted Activity, Math, Writing Sheets. 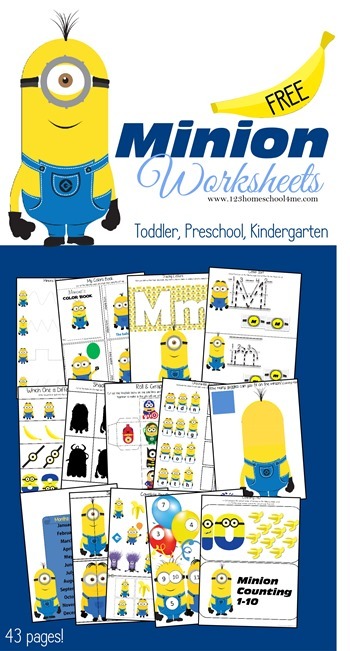 Have a Minion themed day and let the kids go crazy with these activity sheets. Free Printable Minion Lesson Plan And Homework Sheets.